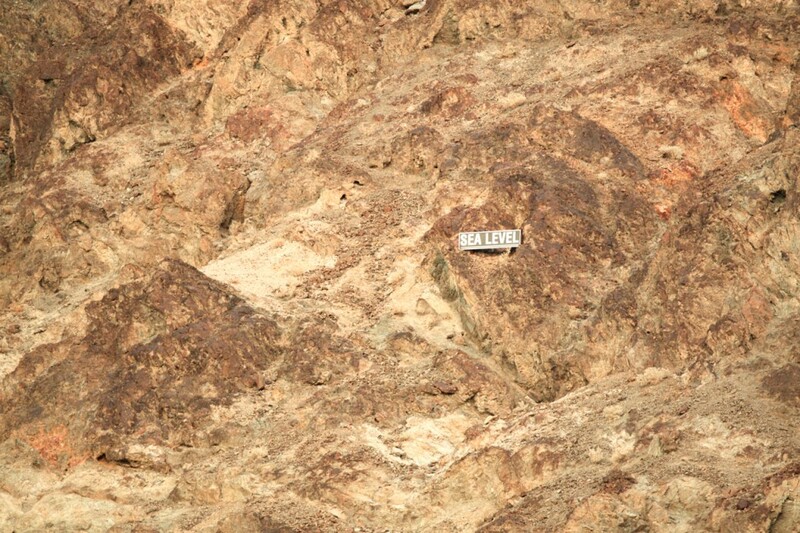 Going somewhere named Death Valley may not sound like the brightest idea, especially during Summer time. Well, we did it and it’s not that bad, except maybe for temperatures over 40 ºC. Nothing major. 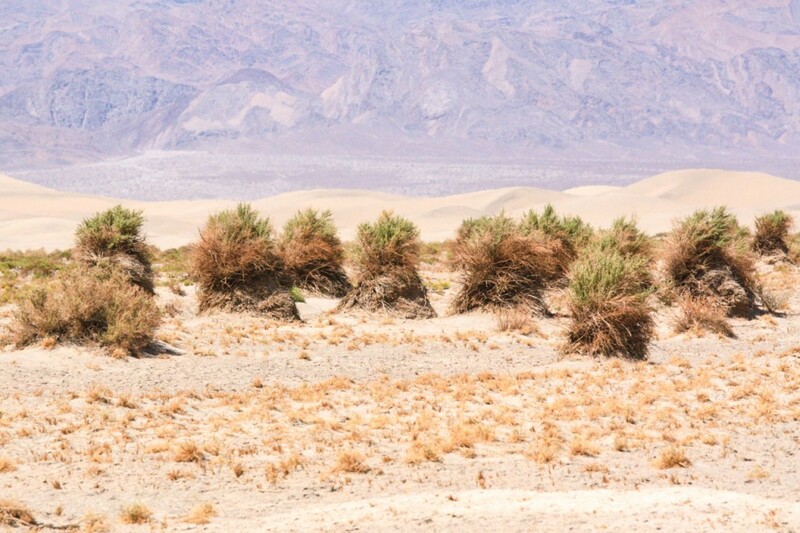 To put things into perspective, Death Valley is just the lowest, driest, and hottest area in North America. What? Yes, but it’s also part of a spectacular national park with plenty of things to do and see, even in the Summer – bearing in mind some precautions, of course. 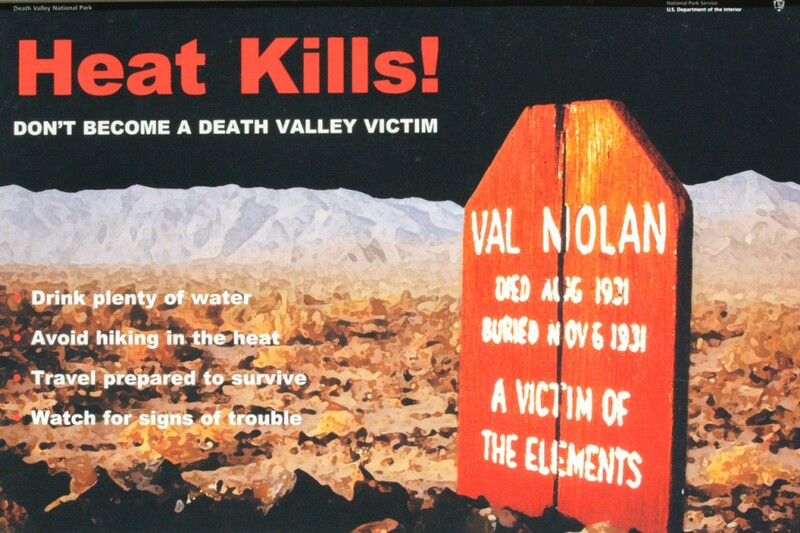 Death Valley’s name comes from a group of people who got stranded there while attempting to cross it, apparently with a single fatality among them. 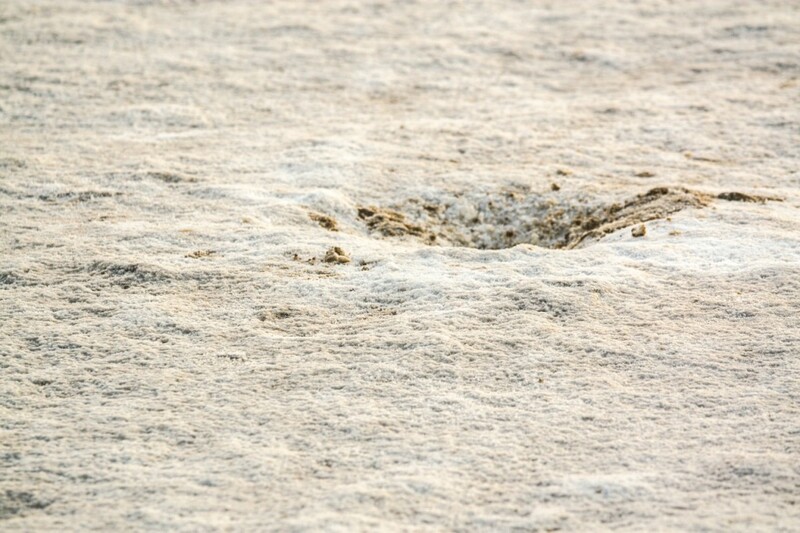 Death Valley National Park is part of the National Park Service (NPS). It is shared by both California and Nevada states, east of the Sierra Nevada and includes part of the Mojave and Great Basin deserts. Its landscape is one of the rawest and harshest to be found anywhere in the United States, with salt flats, sand dunes, badlands, valleys, canyons and mountains. And it’s massive, the biggest national park if we leave Alaska out of the equation. 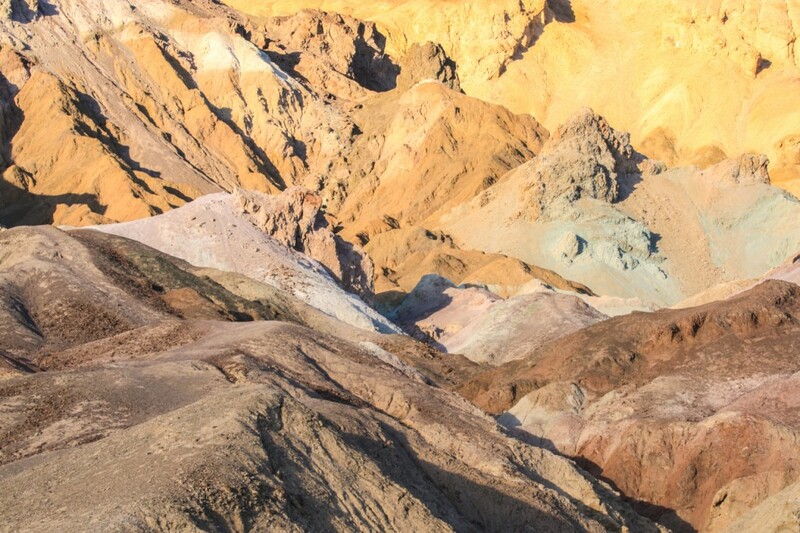 We spent 2 days in early September exploring a tiny bit of Death Valley National Park while on a 2-week road trip from San Francisco to Las Vegas. Gladly for us, September is when the temperatures “drop” from the mid-to-high 40 ºC that usually hit the region during the Summer months. Much fresher. 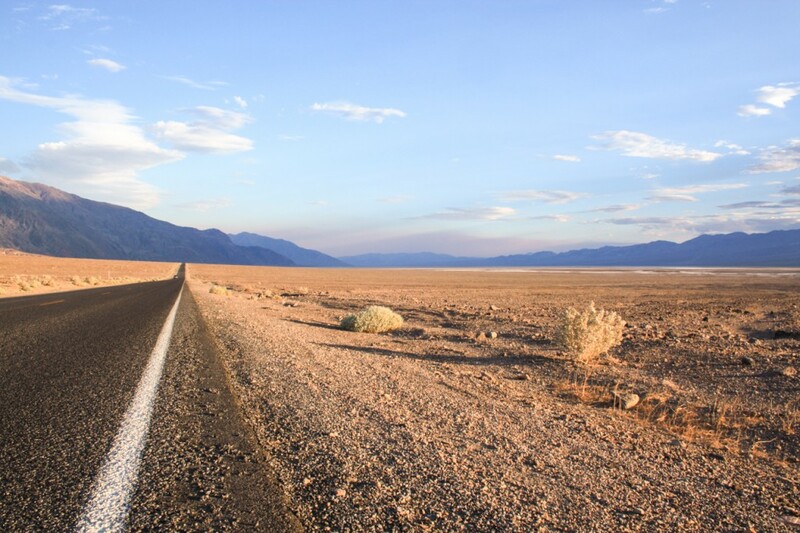 Our base to visit Death Valley National Park was the small community of Beatty, Nevada, which is conveniently located less than an hour away from Furnace Creek, the visitor center of the park. Beatty serves as a good gateway for Death Valley, with some places to sleep, including the excellent price-quality Motel Exchange Club. Yes, the name could be better and nothing was exchanged while we stayed. There’s really little worth doing in this town except if you’re into gambling in small towns with three other people. Not our kind of plan. In defense of the gambling establishment of Beatty, the food was good there and we became regulars. 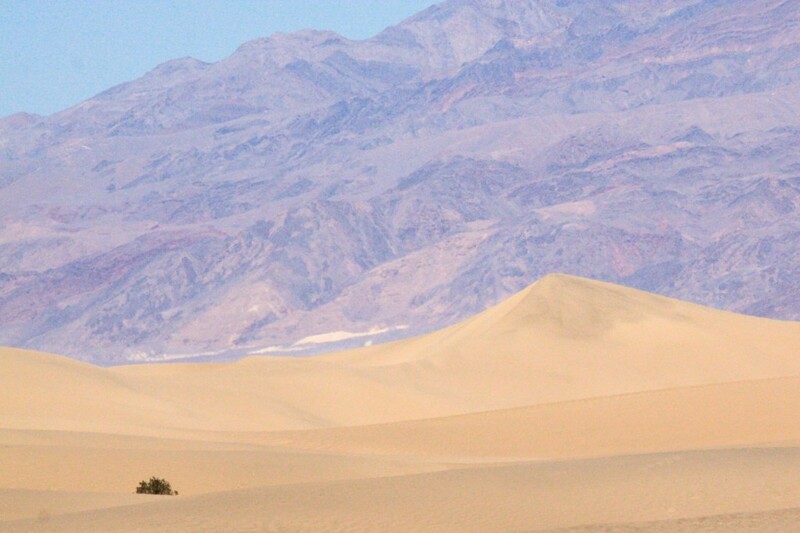 Like the other national parks under the NPS, Death Valley isn’t free. From Beatty and along road 374 we passed by an automated ticket point on the side of the road. It’s a pay and display system and for 20$ the ticket is good for 7 days. This road is very scenic and goes through Daylight Pass. To give some emphasis on the surviving part from the title of the article, here’s a billboard from the NPS. Nothing like starting a late Summer morning with temperatures already in the high 30 ºC and with such a warning. Context. Besides the occasional two or ten stops for pictures, we eventually made our way to the area of Stovepipe Wells, one of the small communities inside the park. Very close to it are the Mesquite Flat sand dunes. An amazing set of dunes with various formations, including star-shaped ones. There’s a parking lot from where the dunes can be accessed. Totally worth wandering around the dunes. 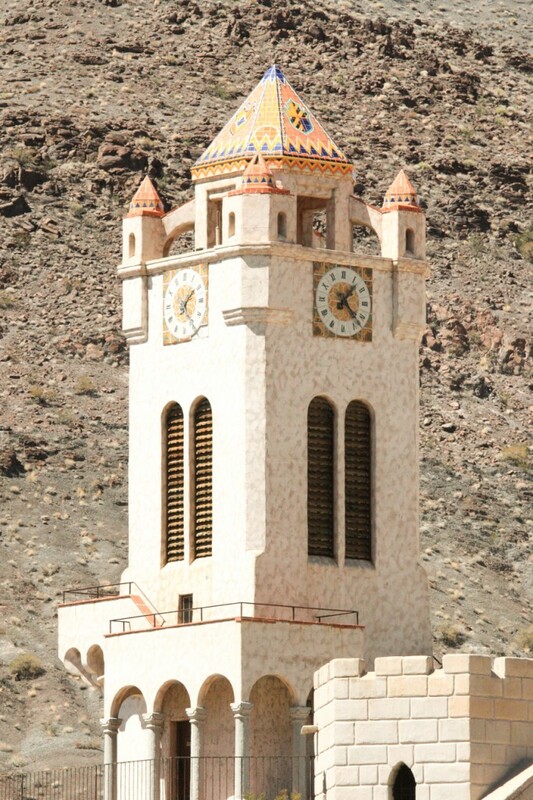 We ventured to the northern part of Death Valley by driving around an hour to Scotty’s Castle. This is one of the most intriguing stories of the area. And we’re not talking about the fact that Scotty’s Castle is not exactly a castle but more of a Spanish-style villa. 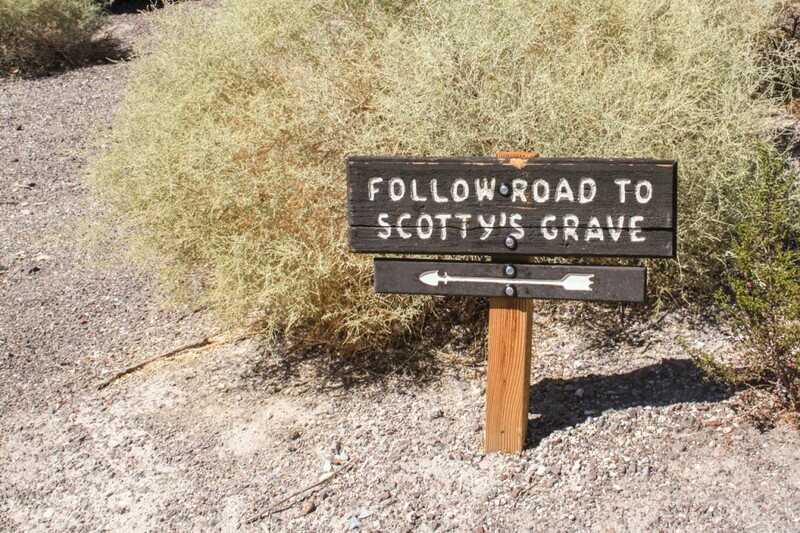 We’re talking about the story behind the place and the life of Walter Scott, aka Death Valley Scotty, a very famous con man who gives the name to Scotty’s Castle. 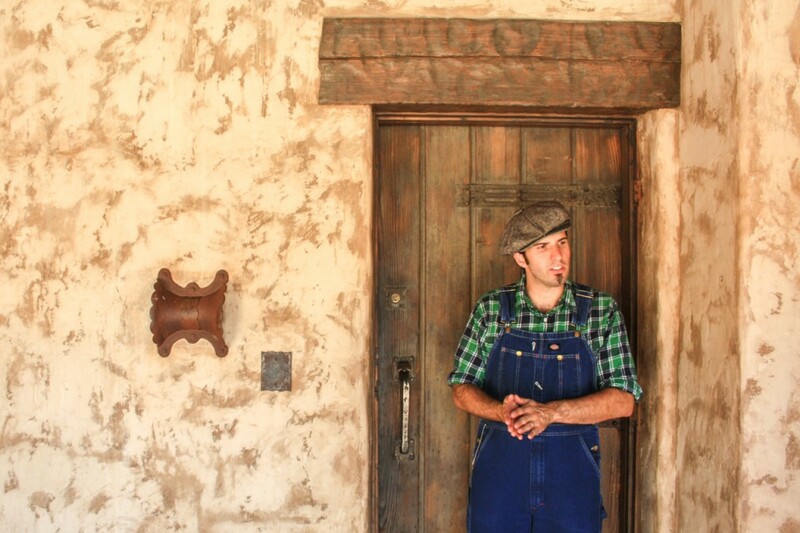 The characterized guided tour of the estate is a must and we highly recommend it. It tells the tales of Scotty and the house he didn’t own, and how even with his scams he became an unlikely friend of the owner, Albert Johnson. 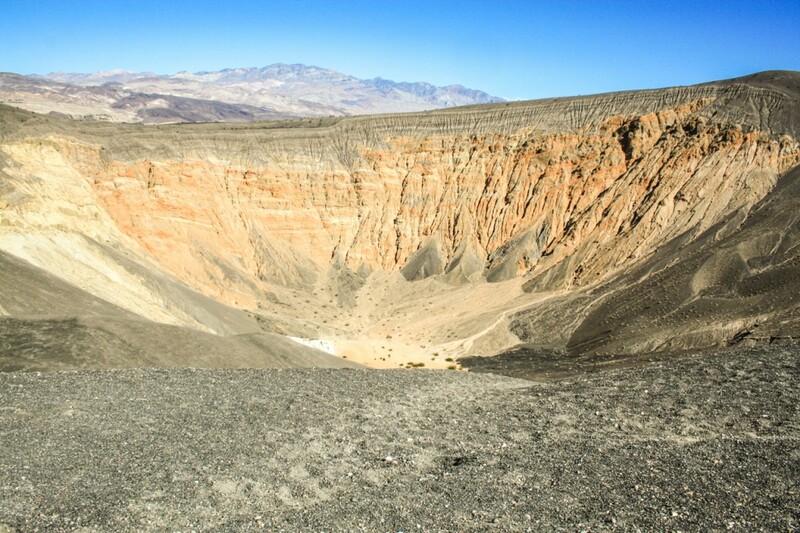 Before heading back South, we made a detour to Ubehebe crater, a large volcanic one. There’s a nice paved road up to the crater, where we park. So far so good, except for the second we got out of the car – WINDY like hell! Seriously, we could barely hold the doors of the car. Needless to say that we didn’t stay long and slowly made our way out of there. 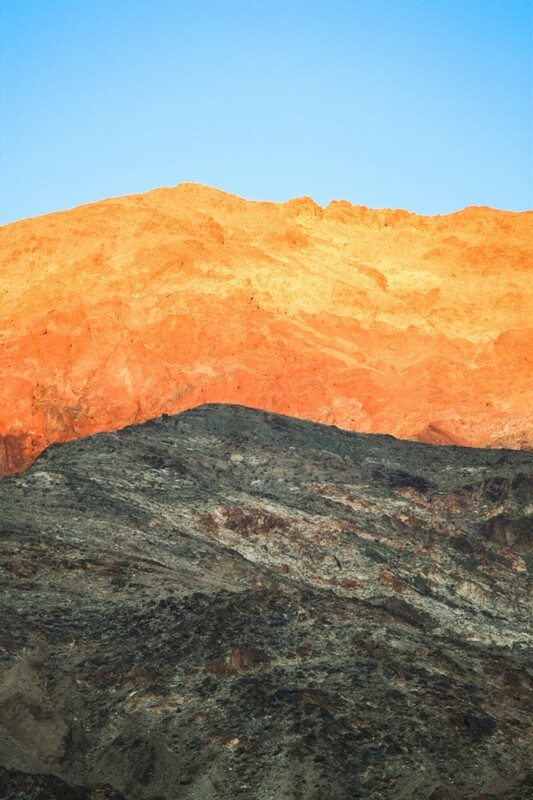 Furnace Creek is a small oasis community in the middle of the desert. 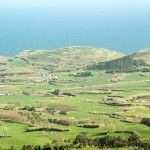 Really, there are lots of trees, hotel, swimming pool and even a golf course. We didn’t stop because of this but to visit the main Death Valley National Park visitors center, as they always provide useful and relevant information, not to mention the obligatory bathroom stop. We made our way further South to Badwater road. 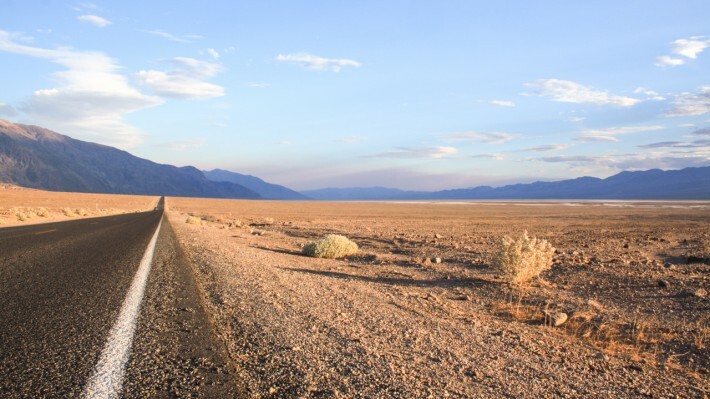 This road leads to the most famous site in the park – Badwater. Before we got there we made a few stops, including the Golden Canyon, where we walked inside for a little bit, and Artist’s Palette. This one is really beautiful with a colourful mix of rocks caused by the oxidation of different metals. Close to the sunset we finally reached our daily goal: Badwater basin. 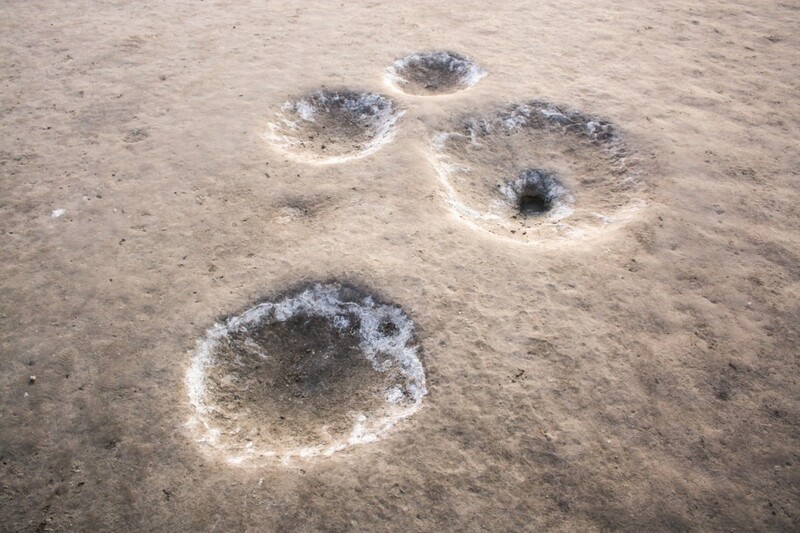 A big attraction due to its salt flat 86m below sea level, the lowest elevation in North America. 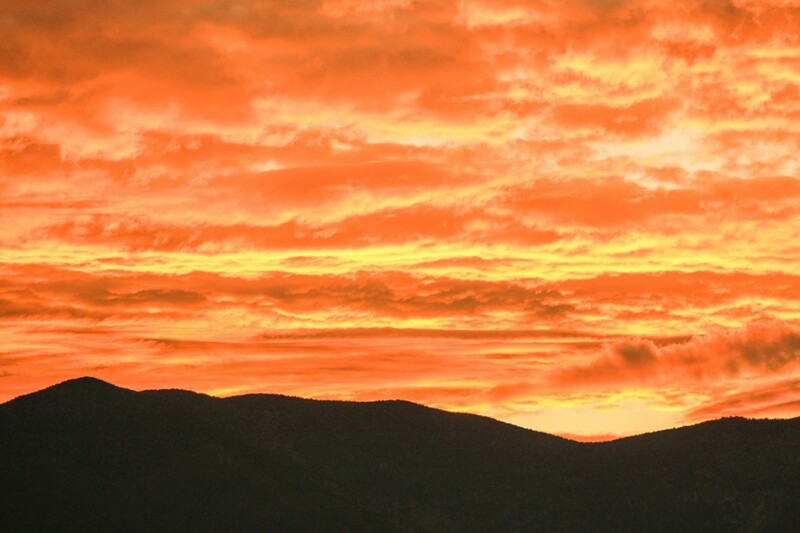 Being there at sunset is quite magical. We probably spent around 2 hours just hanging around, stunned by nature’s work. 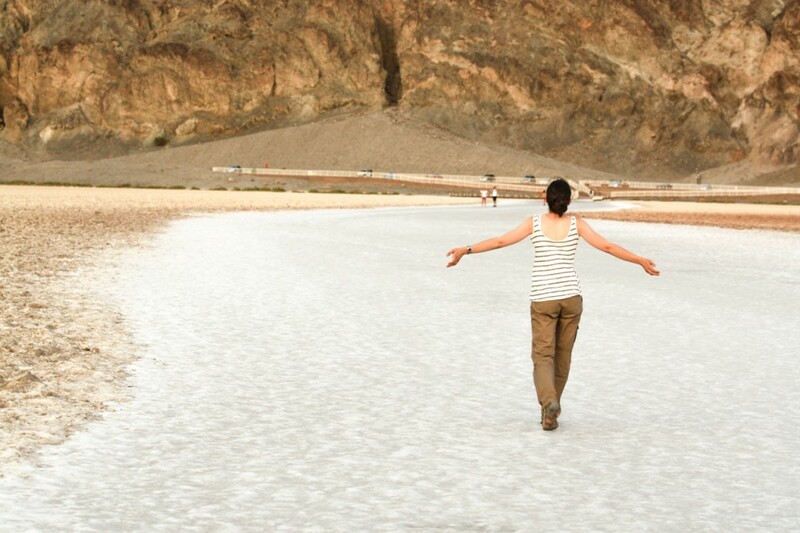 Walking on the salt, feeling it, is a very interesting and unique experience. Imagine this with 40 ºC at 7 PM! Cozy to say the least. 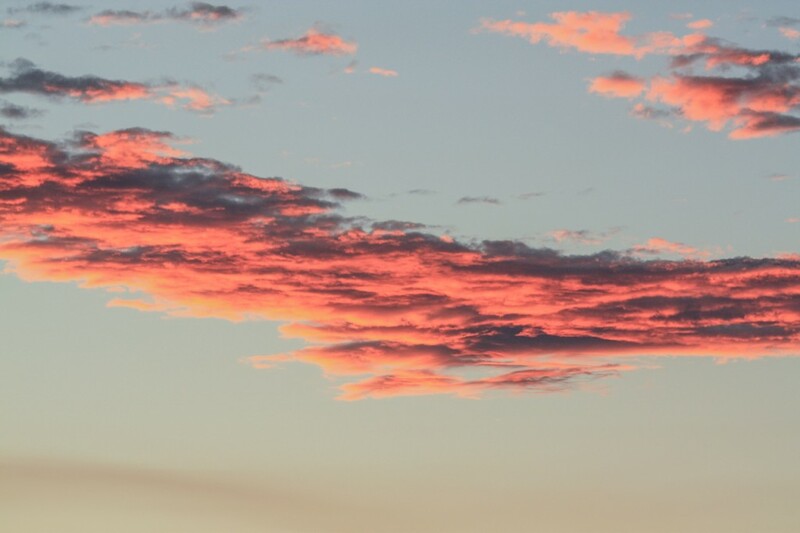 Amazingly, the sunset to the North was of a bluish colour, whilst to the east it was a very strong orange, like if the sky was on fire. 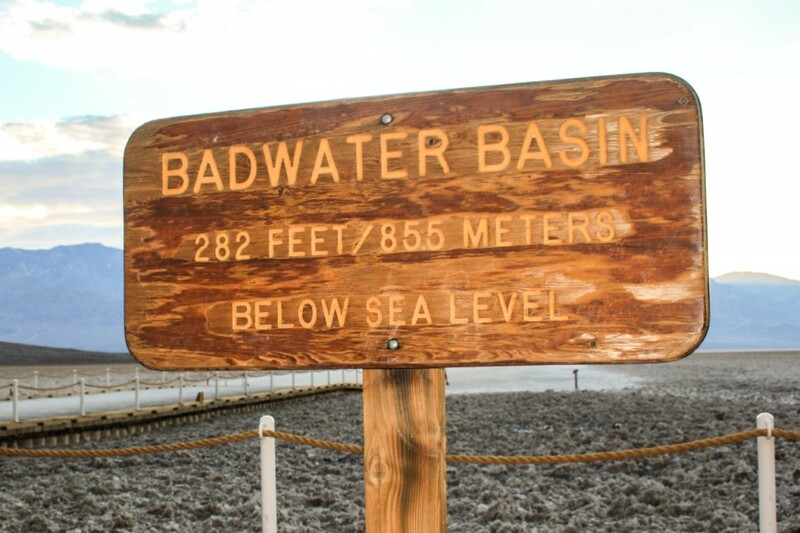 It was already dark when we left Badwater back to Beatty. Driving with total darkness on such a big and remote part of the world feels very intimidating, scary even. It took a while before we could spot the next lights on the horizon. Visiting Death Valley was a very good decision. We were a bit reluctant at first, afraid that the heat would be unbearable, but it’s perfectly doable, we just needed to prepare properly. We took more than enough food in a cooler and plenty of water. A lot, really. We probably drank at least a couple of liters each. 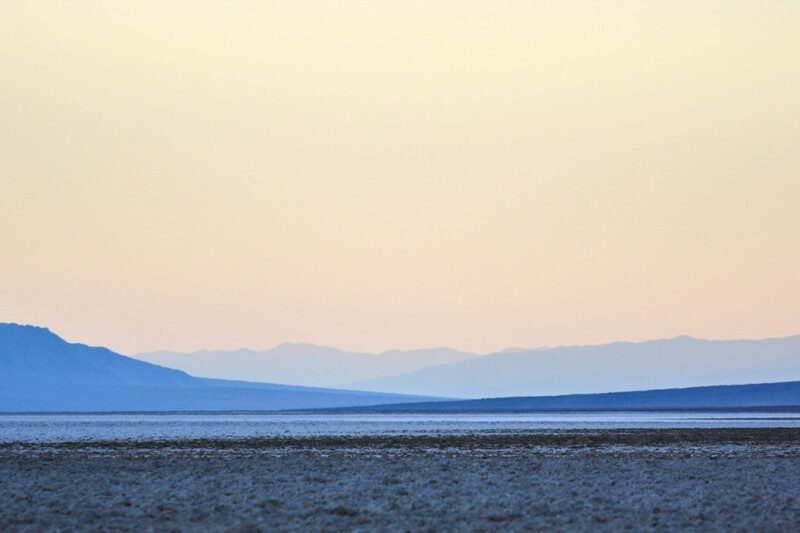 Death Valley is so big that it’s impossible to see it all in a short period of time. We opted to get the most of our day there. Also, at this time of the year, since hiking is not recommended, some backcountry areas were kind of off-limits and others were only recommended to high clearance vehicles. We left some places for a second time visit, thinking of Dante’s view, Zabriskie point or Racetrack playa, among others. 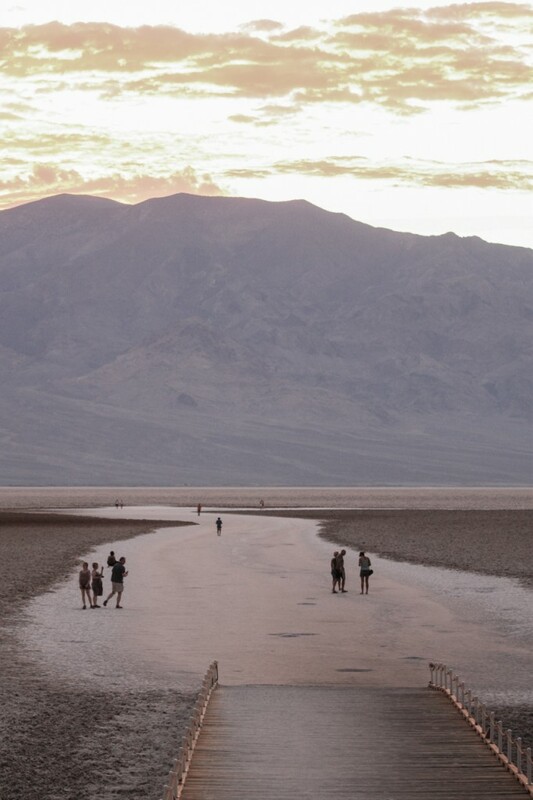 Have you visited Death Valley? Would you do it in the Summer? Tell us all about it. For more information visit the official site: www.nps.gov/deva. 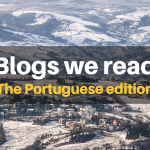 Read our other articles about California! Never been, but planning to visit next year in early June. Beware of the heat! It’s an amazing (and very different) place. It is an amazing place. More spectacular than you can imagine. We hired the Pink Jeep while staying in Las Vegas. Having a guide is great because she drove and we viewed. She took us past an area at one point that looked pretty ordinary. We stopped at the same area later and saw colors that were not visible when we past it earlier. Copper and turquoise and had we been on our own, we would not have know when to go at any specific time to get some lovely photos. 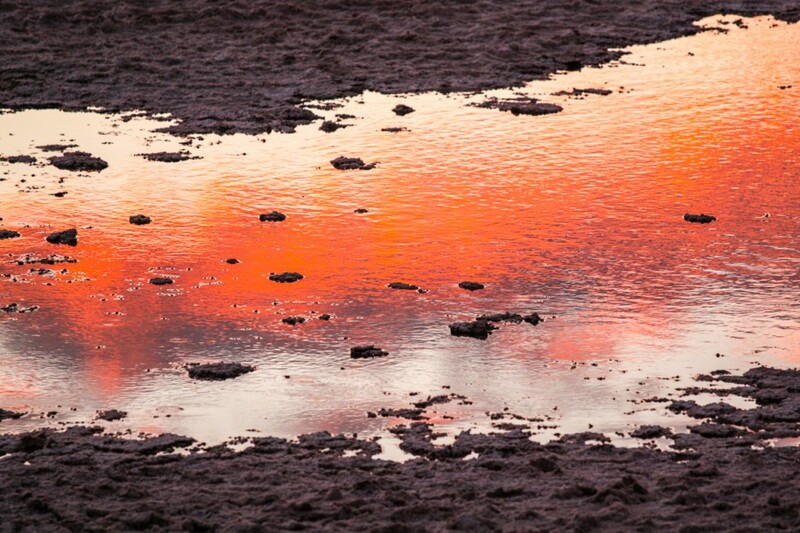 Salt flats are awesome–hate that word but it truly describes the area. Trying to imagine being in a covered wagon and coming upon this must have been devastating. It goes on forever. Totally worthwhile trip. Scratch that one off my bucket list! Also close enough to go to the Grand Canyon. Another truly remarkable site. The glass walkway is scary, I and have jumped out of a perfectly good plane, but this walkway is like nothing I have ever experienced. Scratch that one off the list as well. .
It’s indeed a magnificent place. We were stunned by its beauty. You’re probably talking about Artist’s Palette. The colour changes with the light and it’s great! We didn’t make it to the Grand Canyon but definitely thinking on going next time we visit the USA. We are looking on going there this summer, around June 21-23. Will it be ok you think? We are aware of the hot weather, and are bringing a lot of water. Do you now how it is to camp with a Campervan in the park? Or near the park? Are the desert blooms coming out of the valley floor by then? Silje and Kenneth, Norway. Sorry for the late reply. Bring plenty of water! Official camps only, I believe. Check with the National Park Service.